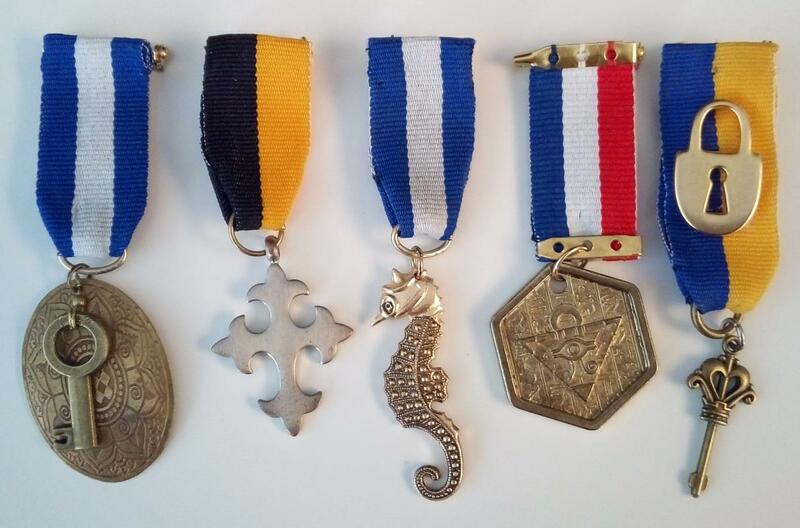 It was easier to make the medals than to get the image linked here from Google Photos. Edit: guess I'll be waiting till I have time to figure out some other, simpler way of hosting pics. Edit2: Electric Boogaloo: Forgot about imgur. And evidently even harder for us to see it. Love a medal, so look forward to seeing them! the Order of The Hexagon ? or is it the Zepplin Combat Readiness medal? ps- is the second from the left the Air Kracken Cross? Very well done... I do so like the "Mounted Cavalry of Atlantis" medal. The first one the left...perhaps the medal of the Order of the Harlequin Tower Guard? I do like a shiny medal, although I haven't any myself, and only my dad's duplicates to show! I like those. You got a maker video? 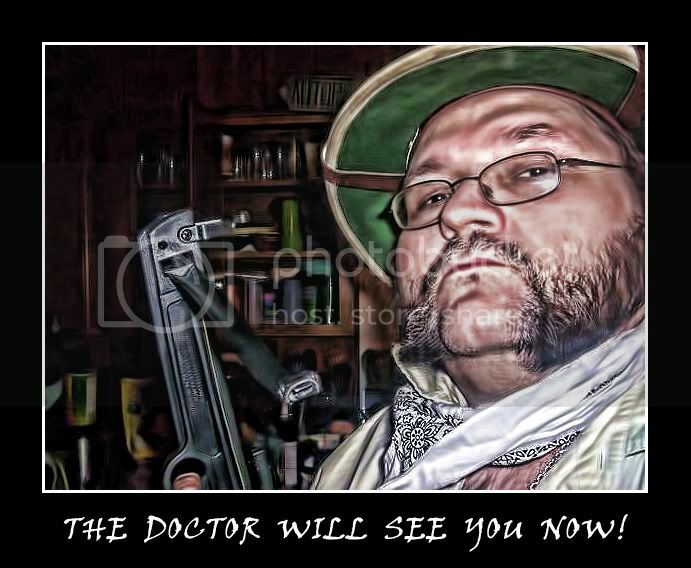 Dr. Madd, no maker video, it's pretty obvious how they're put together. The ribbons came from participation medallions that can be bought by the handful at Value Village or the like. Jewellery pinbacks and random metal bits for the rest. I'd actually like to know what the hexagonal medallion is. I bought a pack of them at Value Village as well. I'm assuming they're from a game. Must post over on reddit. The hive mind there knows everything. I do like the Mounted Cavalry of Atlantis so I'm keeping that one. The design inside the hexagon reminds me of the Masonic symbol with the all seeing eye of God in the pyramid (cf American one dollar bill). The pyramid here is inverted, which is why I said it only reminds me of the Masonic one, yet it has an eye in it. But the Chinese make a lot of doo-dad stuff using well known Western symbols (not knowing or caring what they represent) and then slightly alter them to use on the trinkets they make. 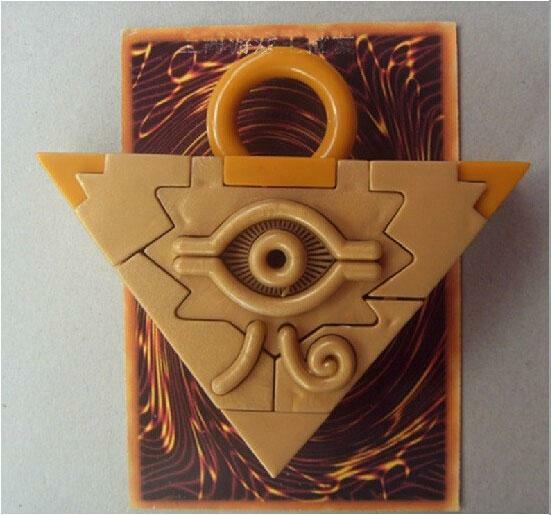 The Eye of Horus in the inverted pyramid symbol is from the Yu-Gi-Oh cartoon and card game. If you like the symbol, you should be able to find it on toys and necklaces. Thanks, guys. Knew it would be something like this.